SELF BELIEF in their learning by TAKING A LEAD in team learning situations and coaching other children. 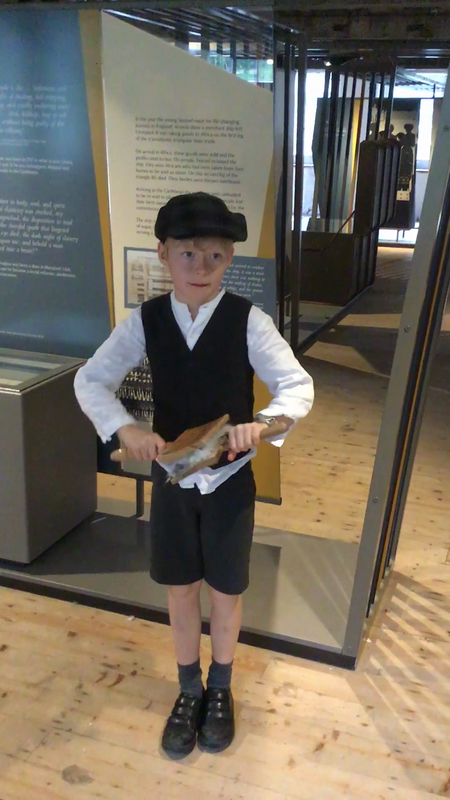 Our visit gave the children the opportunity to explore what life would have been like back in Victorian times. We dressed up to support our learning and took part in many practical activities. To develop our confidence we asked lots of questions. We had a great time and we enjoyed our visit. Today we visited Quarry bank Mill. We all dressed up in our Victorian costumes, including all of our teachers. We had a tour of the Mill and learnt lots of amazing facts, including what is was like to be a child working at the Mill. Samuel Greg was the Mill owner and he was kind to his workers. He gave them Sunday off as long as they went to church in the morning and had lessons in the afternoons. Girls were only taught to read and write, however boys were also taught how to count and some of them worked in the office paying the bills. We watched the machinery and found out that the children would have been deaf within three months of working in the mill. They learnt to speak slowly with clear mouth gestures, it was a form of lip reading. Samuel Greg gave his workers, who could afford houses and named the village Styal. The cottages are still there now and people live in them. Samuel Greg also paid for health care, although if you had a headache the doctor gave you a hot, blistering mustard poultice and once the blister was formed they burst it. The old paper work suggests that people did not complain too much about their illnesses. The Mill has a very impressive water wheel and we found out that this generated the power for the Mill. It had very big cogs and gears and Samuel Greg could alter the speed by changing the direction of the flow further up the river. Our final session of the day was to learn about how the cotton buds were transformed into cotton for weaving. We were told that the girls would help their parents by pulling the buds apart and this was from the age of 3 years. The boys were given the job of carding the cotton. This carding pulled the small pieces the girls had split and made it look like hair. This was then placed in hands and patted together to form the start of the cotton for the spindle. Using the carding combs in the second step for weaving. Our recounts of our visit to Quarry Bank Mill. Our recounts about Quarry Bank Mill.